Very dense purple with a scintillating, heady bouquet or fully ripe fruit, suggestive of a great vintage. Immense density of flavour, yet the thread of acidity keeps it dancing across the palate. Magical persistence. A late cycle all the way though, in 2013 Etienne started picking from 5th October. 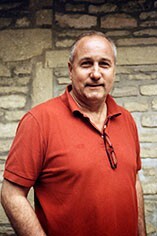 After conferring with his aunt Jacqueline Jayer, he noted that 2013 shares the same harvest dates as 1978 and also that in both vintages there were very few pips in the grapes and they were fully ripe. 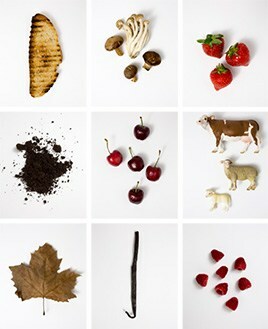 Low sugar levels, ripe skins and good acidity should lead to fine wines with excellent keeping qualities. 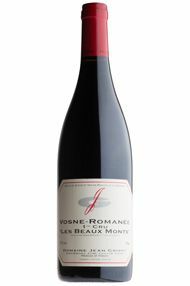 The Wine Advocate - Tasted blind at the Burgfest tasting in Beaune, the 2013 Vosne-Romane 1er Cru Les Beaux Monts has a rather leafy bouquet, perhaps some stem addition here, nicely defined with bay leaf and thyme. It seems to grow in stature in the glass. The palate is medium-bodied with supple tannin, moderate acidity but it has clearly shut down towards the finish and feels static. There is a very impressive wine here, however it will need 4-5 years before it entertains the idea of drinkability. Tasted September 2016.